You gotta dig it to dig it, you dig? I’m a big basketball fan. And of course I love to rep some Zen/Dharma, so I’ve always loved NBA legend Phil Jackson or as he is known, the Zen Master. He always had the best players as a coach and many say that is the reason he won so many Championships (11 as a coach). But with great players comes great ego’s. His gift was his ability to manage and connect all those egos into a winning team. He was able to get his players to rise above talent alone. Don’t play the piano part, I’m playing that. Don’t play everything (or every time); let some things go by . . . What you don’t play can be more important than what you do. Man the Monk hit those keys hard, and this advice is tight. You dig? “Don’t play everything (or overtime); let some things go by…what you don’t play can be more important then what you do." In the hot room as we practice, this is sage advice especially when we get caught up in our habit energy. Sometimes what we don’t do can have a bigger impact in our practice. In Modo Flow, sometimes people try to keep up with the person next to them or around them and get out of their own bodies. What we don’t do: don’t keep up with anyone, return to your breath and allow it to lead the movement. It may tell you to take a little break, or it may invite you to go beyond what you thought was capable. In the hot room when the heat is going deep and the heart rate gets up our mind can go to story telling mode. What we don’t do can often have more impact. Don’t let your thoughts lead your practice. Come back to that breath and let it lead the movement. These vibes for his combo can be great for life as well. I love the advice, "Whatever you think can’t be done, somebody will come along and do it.” He’s reminding his band to think positive of think of what can be. Every day we have to opportunity to step into possibility. But based on what others say or think we side step and believe that maybe it’s not possible. But someone always comes along and does. Today is a great day to come back to an idea or passion you have step into it. Swing at it and then swing some more. Question: Of his list of advice, which one do you vibe with the most? 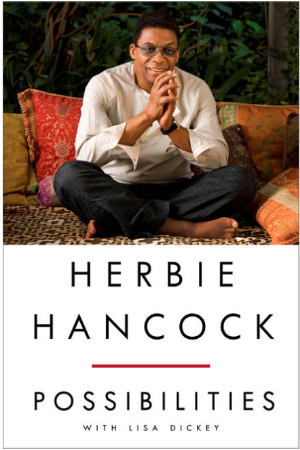 "But Miles never judged it—he just heard it as a sound that had happened..."
One of my fave artists is Herbie Hancock, he's a risk taker and an invovator. One of his biggest influences is the #Legend that is Miles Davis. Last night & today in class I shared a powerful story about a great lesson Miles taught a young 20 year old Herbie Hancock. This set the tone for the work we did today in class. 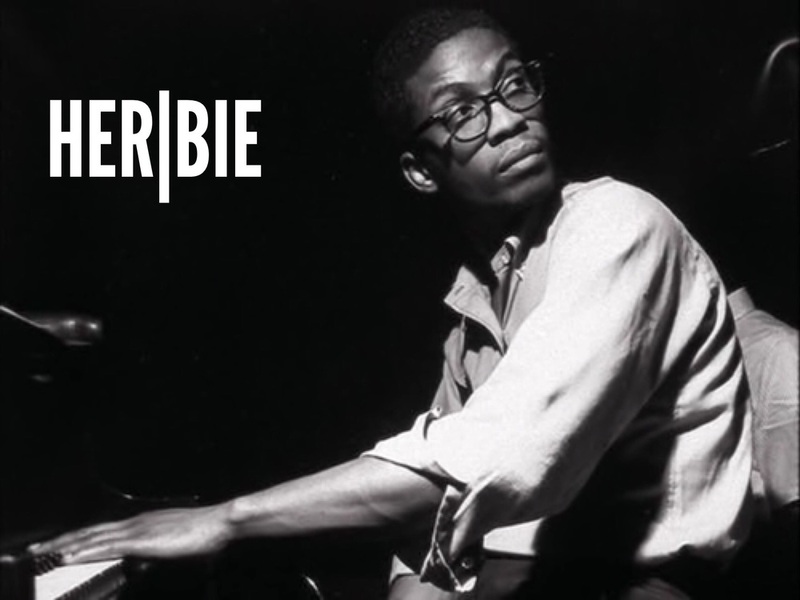 Herbie Hancock in his 20's was playing Piano for Miles Davis. One night in Sweden, the band was tight. Everything was flowing & the crowd was going nuts. Toward the end of the night Miles is leading up to his big solo in his track "So What", as he's building the solo, he takes a breath. In that Pause Herbie lays down a chord that was so wrong. "And because he didn’t judge it, he was able to run with it, to turn it into something amazing." How does this relate to our practice/life? It's so easy to judge ourself. It's so easy to feel we did something wrong or that "something must be wrong with me". In class we can stand in front of the mirror and it's easy to judge ourself and others around. Easy to compare ourselves. The breath does not judge, it informs you and guides you. If we connect that breath with our ability to calm the mind, and reduce our judgements and comparisons we become able to move from where we are and create something amazing. Judgement creates labels, and labels limit your ability to make authentic connections. That's why I love when he points out, "he just heard it as a sound that happened". This is not just jazz, this mindfulness work. We offen judge/label our experiences as "good, bad, right, wrong, positive, negative. When we define it as such we remove ourselves from the full experience.